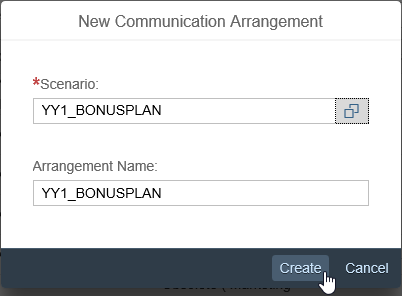 Summary: Regarding Bonus Plan, so far we created its custom business object with a data structure, logic for data initialization and checks and an application UI. Task: Expose the custom business object as web service for integration of your solution with other systems. 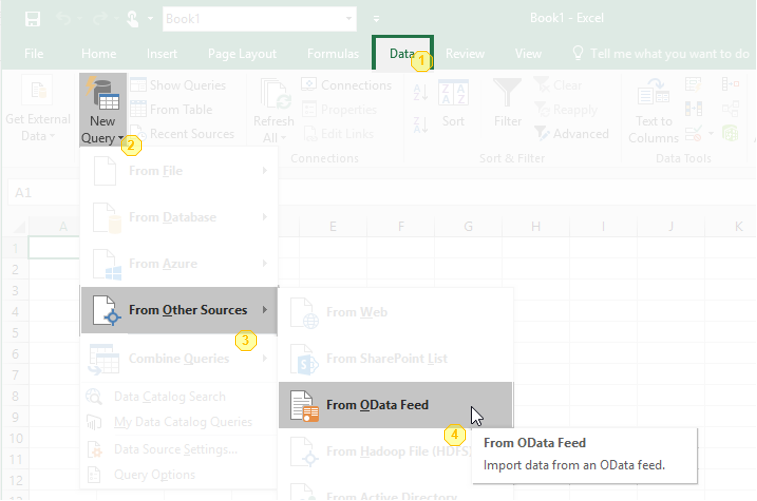 Example: All Bonus Plan data shall be exported to an Excel file. 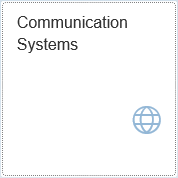 A communication scenario is the basis definition for a communication between systems. It defines a solution to be made available for external systems. 2. Start creating a new scenario by executing the “New” action. 5. Choose service YY1_BONUSPLAN_CDS and execute the “OK” action. 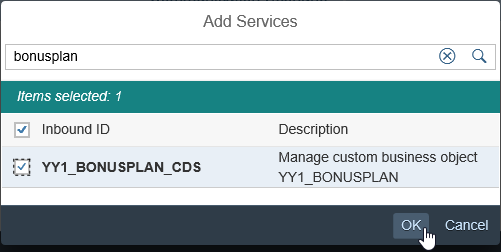 Background: That service had been created during Custom Business Object “Bonus Plan” publishing as in its definition the OData Service Generation flag was set for UI creation already. 6. 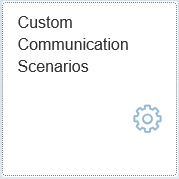 Publish the Custom Communication Scenario. To enable secure communication between different systems you have to register these systems and define the user which is authorized to use the connection. The communication system represents the communication partner within a communication. For inbound communication, this is the external system that calls our Bonus Plan service. We’ll create one Communication System for all systems that want to use our service as well as the user that they’ll have to use. 2. Start creating a new system by executing the “New” action. … and create the system by executing the “Create” action. 4. In the Opening Details view, fill the Host Name with “External System” as well. 5. 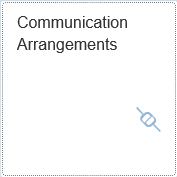 Scroll down to “User for Inbound Communication” and start adding one by executing the “Add” action. 6. In the opening Pop Up, start creating a new User by executing the “New User” action. 7. 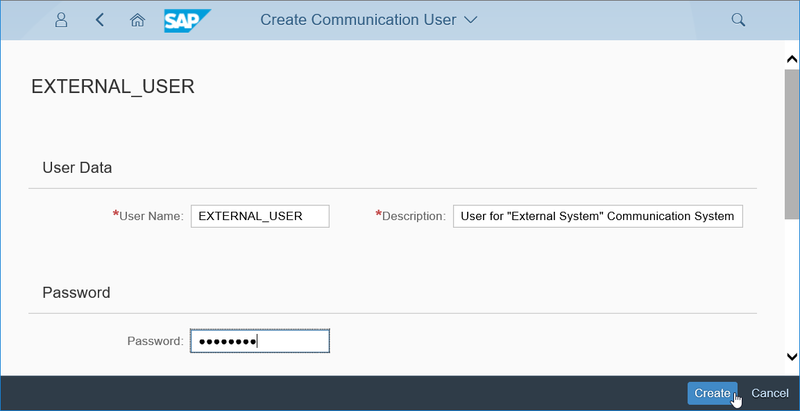 This will lead to an automatic switch to the “Create Communication User” application, where you enter User Name “EXTERNAL_USER”, Description “User for “External System” Communication System” and a password before you execute the “Create” action. 8. This will switch you back to the Pop Up, where the User Name is filled now and you can confirm to add the Inbound Communication User with action “OK”. The just created user will be needed by callers to make use of the services. 9. Back in the Communication System details you finish its creation with action “Save”. Finally, a communication arrangement links the solution’s scenario with the Communication system and its user and exposes the Service to be used. 2. Start creation by executing the “New” action. 3. A pop up opens in that you use the value help for Scenario first. 4. 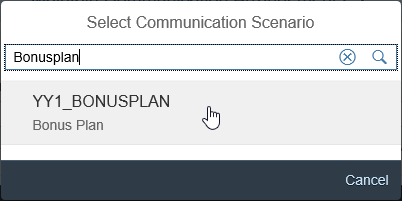 Select the YY1_BONUSPLAN Scenario. 5. 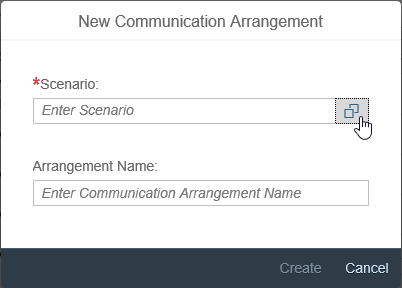 This will set the Scenario and default the Arrangement Name, so that you can continue the creation via “Create” action. 6. 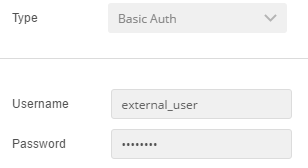 In the opening Arrangement details you only need to set the “Communication System” to “EXTERNAL_SYSTEM”, which will automatically set the related User Name “EXTERNAL_USER” as well. Execute “Save” to finish creation. 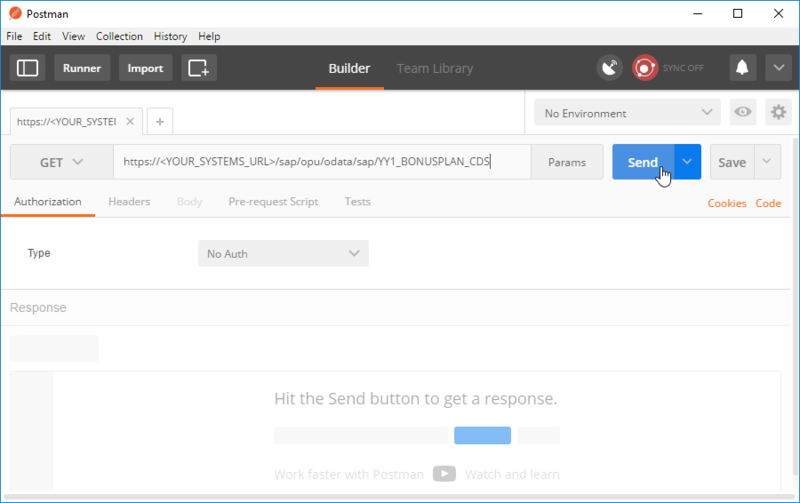 POSTMAN application is there to test Web services by sending requests and receiving responses. All included postman screenshots are reprinted with permission © Postdot Technologies Inc. All rights reserved. The general testing is done with the standalone postman application. All screenshots of postman application are reprinted with permission of © Postdot Technologies Inc. All rights reserved. 3. Enter the Service URL and execute “Send” action. You will get a Login Error as response in the response section, but this already shows that the system as such is reachable. 4. Send the service request again. 6. This way you can test, if the service is working in general. Whenever you want to do a change to the Custom Business Object’s persistence, for security reasons you need to send a X-CSRF-Token with that change request. To get such a Token you have to send a get request first, which fetches one. 2. Ensure to be on “Headers” tab. 5. Copy the returned X-CSRF-Token to clipboard. The gotten token will be valid for 30 minutes and fetching a token will return the same as long as validity has not ended yet. 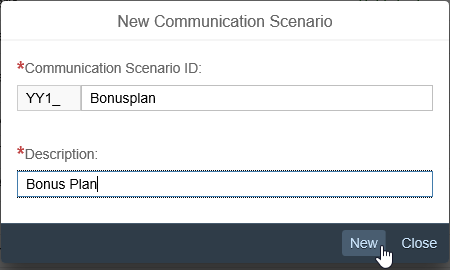 To create a new bonus plan via the service, do the following in postman. 4. Add new header key “Accept” with value “application/json”, this will ensure that the response will be gotten in JSON format, which is easier to work with than XML. EmployeeID <any> should in best case be the user ID of a sales person that created sales orders with a Net Amount of more than 3000.00 EUR in 2016 and that are completed. For testing purpose regarding creation of an instance only a valid string is needed, but of course a bonus calculation later would fail with this inexistent user. The response will show the new instance’s data. From the ID you can see, that it’s a new one and that the logic to fill data automatically also worked successfully. 3. Copy SAP_UUID to clipboard. 1. Switch the request method to “PATCH”. 5. You will see that the update worked as you do get an empty body as response. 3. A pop up opens in that you enter the service URL and execute “OK”. 4. 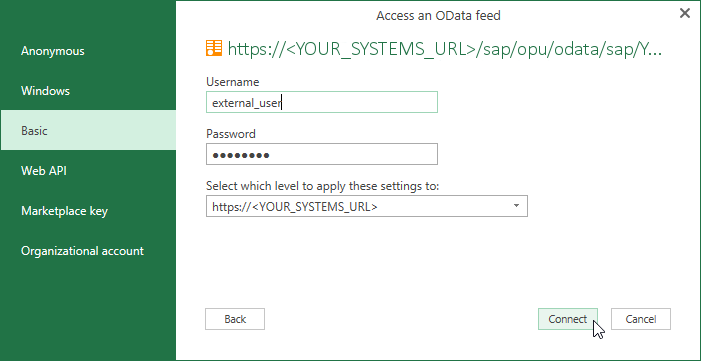 In the next Pop Up for Access to the Service (= OData feed) switch on the left side from “Anonymous” to “Basic”, then enter Username “dummy” and its Password on the right side, before executing the “Connect” action. 5. In the next screen select the item YY1_BONUSPLAN and execute “Load”. 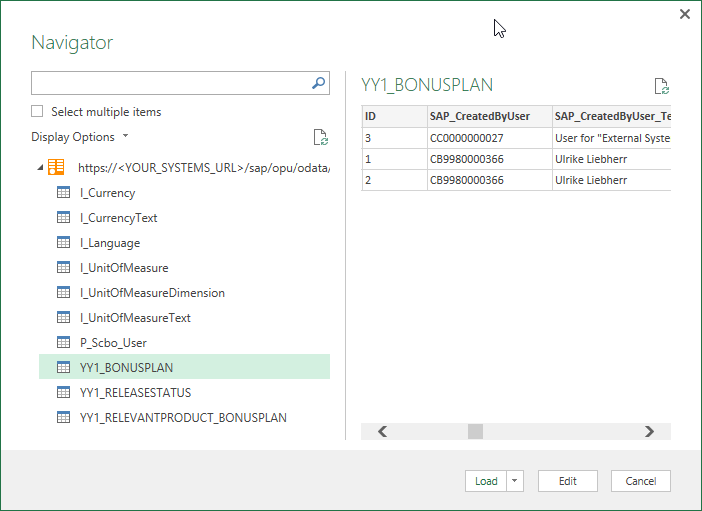 As result the excel workbook will be filled with the current Bonus Plan entities’ data. 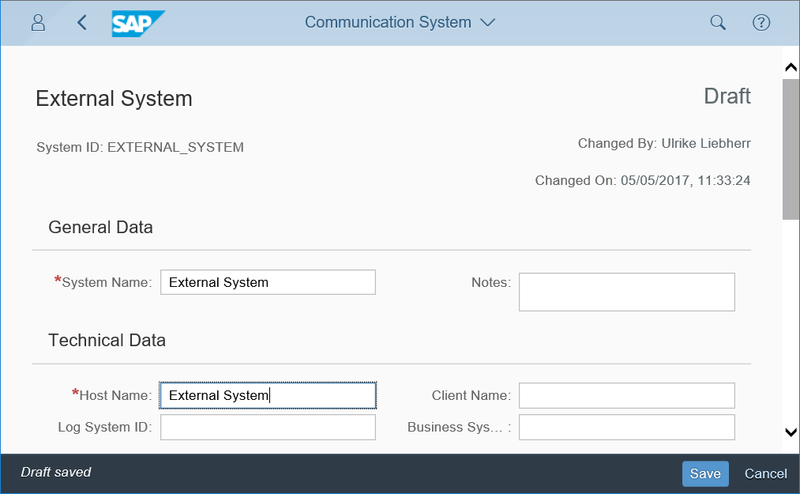 How to consume the service from SAP Cloud Platform is explained in the Blog https://blogs.sap.com/2016/10/19/s4hana-extensibility-connect-sap-s4hana-cloud-sap-hana-cloud-platform-hcp/ as third and last step “Use the Service in HCP“. Hi Ulrike, This is really a nice post, I have learned a lot from it. Thank you! Hi! I’m trying to POST some data to a CBO using SCPI, and the link you mentioned doesn’t have any information for doing that. Can you give us an example of that?